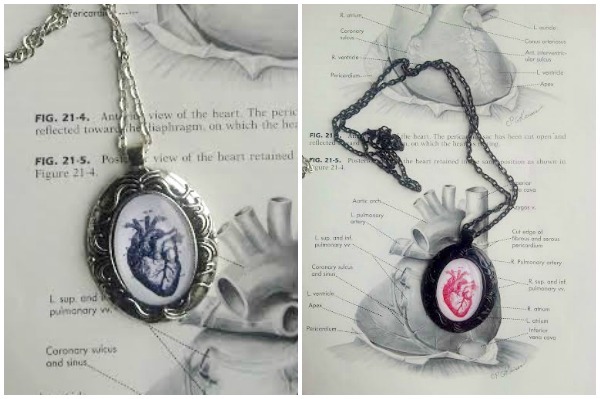 This morning’s reader feature are these very unique Handmade Anatomical Heart Cameo Necklaces. This project was inspired by the Anatomical Heart illustrations from the 1884 Science Book graphics. 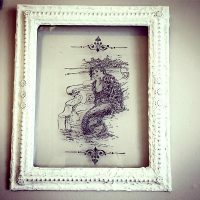 Louise found these cameo settings in black and antiqued silver, then sized the images, printed onto a heavy art paper and set the heart with a glass cabochon. The glass finish beautifully enhanced the red and black colors. Lastly they added matching chains and they were complete! 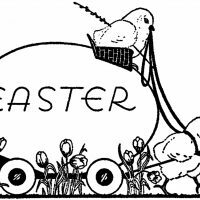 For more of Louise’s work, visit her Etsy shop, Willow and Poppy. 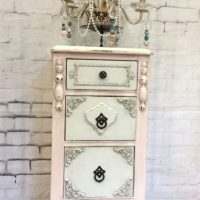 « Vintage White Peacock Image!